With the HFp-Dipole kit (and the Add-On for the Vertical kit), you get all the parts required to set the antenna up on the Ham bands from 20M through 2M, including a center insulator, guy lines, a coax pigtail, and a laminated card which shows the configuration for each Ham band. Not supplied is the support pole - a standard painter's extension pole which may be picked up at any home-improvement store. 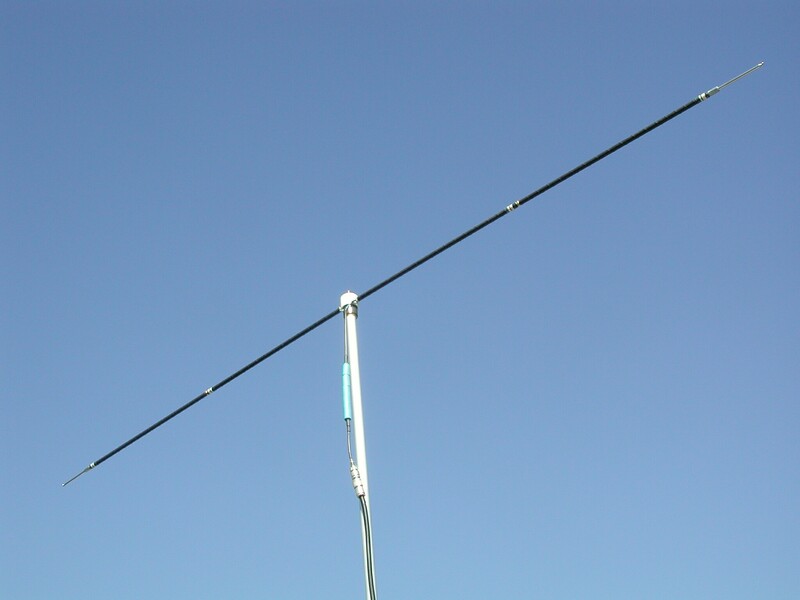 The standard Dipole kit is limited to 20 Meters because, for the lower-frequency bands, the antenna droops too much. Available options provide the necessary support for the lower bands, and allow the Dipole to be set up on 30, 40, 60, 75 and 80 Meters .